Imagine if your local city planner worked around the corner from your home in a storefront on your neighborhood's shopping street. You wave at them through their window on the way to work, you drop by sometimes for a chat, and you may even be on a first name basis. For nearly two decades that’s exactly how it used to work in Toronto, Ontario. Embracing an innovative model of Place Governance, in the 1970s the City decentralized its planning department into Neighborhood Planning Offices located in the very areas they served. What if city planners worked in Neighborhood Planning Offices on streets like this? 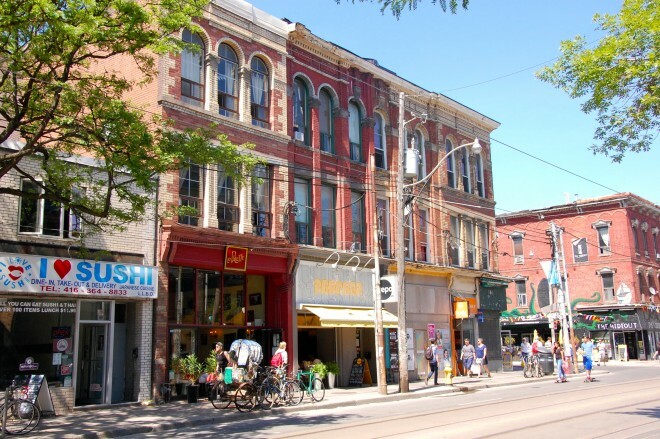 Queen Street West, a popular shopping street in Toronto, ON. | Photo by Eric Sehr. When Jane Jacobs moved from New York City to Toronto in 1968, her adopted city was already well on its way toward reasserting itself as a city for people. After experiencing its first tastes of expressway construction and urban renewal and witnessing the destruction these strategies wrought in many cities south of the border, a movement led by young community activists and idealistic politicians was ready to overturn the status quo. In 1970, they worked with local residents and business owners in the Trefann Court neighborhood to put urban renewal plans for the area into their hands. In 1971, they stopped the construction of the Spadina Expressway through the heart of the city. And finally, in the 1972 election, a host of reform candidates, including Mayor David Crombie, swept to power in city council with a new vision for a human-scale city. Drawing inspiration from their newest celebrity resident, Crombie and the reform council immediately put a moratorium on new construction in order to rethink the City’s approach to planning and development. Numerous pioneering initiatives came out of these years that put into practice the ideas Jacobs had proposed in The Death and Life of Great American Cities (1961), including a new mixed-use central area plan for downtown Toronto in 1976, and an innovative program of infill affordable housing. This latter effort culminated in the St. Lawrence neighborhood, a big chunk of the city built from the ground up that Jane Jacobs actually gave her seal of approval to. Less visible but just as important was reform-era Toronto’s fundamental reorganization of the planning department itself. By relocating the department’s neighborhood division into multiple storefront workspaces in the communities they planned, Toronto’s Neighborhood Planning Offices put the “service” back in public service, and the "servant" back in public servant. The planners in these offices became more responsive, accountable, and accessible to citizens. In turn, citizens became active collaborators, informants, and supporters of the planning process. The first Neighborhood Planning Offices opened in 1974. During Mayor Crombie’s tenure, twelve offices sprung up around the city in semi-public storefronts. The City selected locations “based on the simple concept of what areas were undergoing change, either development pressure change or declining change,” says Paul Bedford, the chief planner of Toronto from 1996–2004 who got his start in Toronto's planning department just as the Neighborhood Planning Offices opened their doors. While city hall continued to deal with city-wide zoning, policies and research, most local issues were decentralized to the Neighborhood Planning Offices. This included the creation of what is known in Ontario as a “secondary plan” for the neighborhood, which provides greater detail and local control for an area within the “official plan” for the city as a whole. 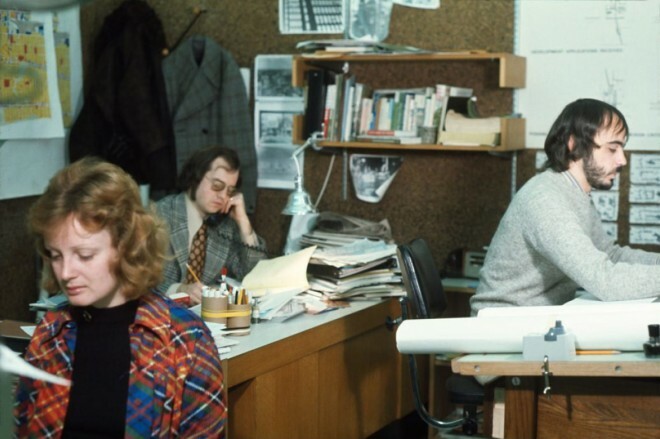 City of Toronto planning staff working on the 17th floor of City Hall's East Tower in 1972. Bob Lehman (back left) was the recently appointed Senior Planner at the time, responsible for the eastern part of the city including a Neighborhood Planning Office in the Riverdale neighborhood. In the comments section of this article he writes, "I was 26 and learned more working from the site office than I ever would have out of City Hall. City Hall was all about politics and power, Riverdale was about place and what it meant to people." | City of Toronto Archives, Series 1465, File 313, Item 6. Toronto’s reform councillors and planners understood that, as Bedford put it, “people living in the neighborhood are experts about their neighborhood.” Each office had one or two planners who would work closely with a neighborhood working group of residents and businesspeople to develop the new secondary plan. The community engagement process started with the now ubiquitous large public meeting. At that meeting, however, anyone could volunteer to be part of a smaller temporary advisory group. This group of volunteers “then thrashed the idea around further,” says Bedford, “and finally selected the permanent representatives from the community.” Those permanent representatives, the neighborhood working group, met with the neighborhood planners every two weeks for the next three years to develop the secondary plan, elevating the role of citizens from the familiar one-time, late-in-the-game consultation to a genuine long-term collaboration. Meanwhile, the planners themselves became fixtures in the community. 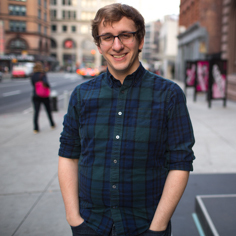 “I would walk the strip, do various studies,” says Bedford. “I established very strong working relationships with all the businesses within the community.” Before the election of 1972, the tenuous “ivory tower” relationship between city hall and local communities had strained the sense of trust between them. Now things were different. “All of a sudden, we were out in the neighborhoods, in the streets every day. It was just like a human relationship. You get to know the person, you develop trust, and you can get things done.” Unlike the hollow offer sometimes put forth by planning departments that citizens can come by their offices at city hall anytime, residents could actually drop into the Neighborhood Planning Offices in their day-to-day lives with ease. The planners also got to know the neighborhoods from the perspective of someone who works there. As Jane Jacobs observes in Death and Life, “The only way an administrator (or anybody else) gets to know and understand a place well is partly from first-hand information and observation over time, and still more from learning what other people, both in government and out of government, know about the place.” While maps and models, spreadsheets and graphs can synthesize important information about a place, nothing beats pounding the pavement and talking to locals every single day. Of course, the job wasn’t finished. The process of making and remaking our places is never finished. Today our communities still desperately need this kind of Place Governance that engages citizens as creative partners, that breaks down silos between departments, and that makes municipal government more accessible, convenient and responsive. As cities continue to grow, the problems we face and the solutions we devise become more complex. PPS believes the only way to keep up with massive challenges like inequality and climate change is to decentralize the problem-solving process to communities through strategies like Toronto’s Neighborhood Planning Offices or our own placemaking workshops. To that end, numerous efforts to revive the Neighborhood Planning Offices in one form or another have emerged in recent years. In the fateful 2010 election that saw the late Rob Ford elected mayor of Toronto, his opponent George Smitherman proposed a new set of Neighborhood Planning Offices as a core part of his platform, and in 2013 Toronto’s current chief planner Jennifer Keesmaat started experimenting with a program of “Planners in Public Spaces.” With the rise of the internet and other communications technologies, Bedford suggests that it would be even more feasible now to create a new set of permanent storefront offices too.